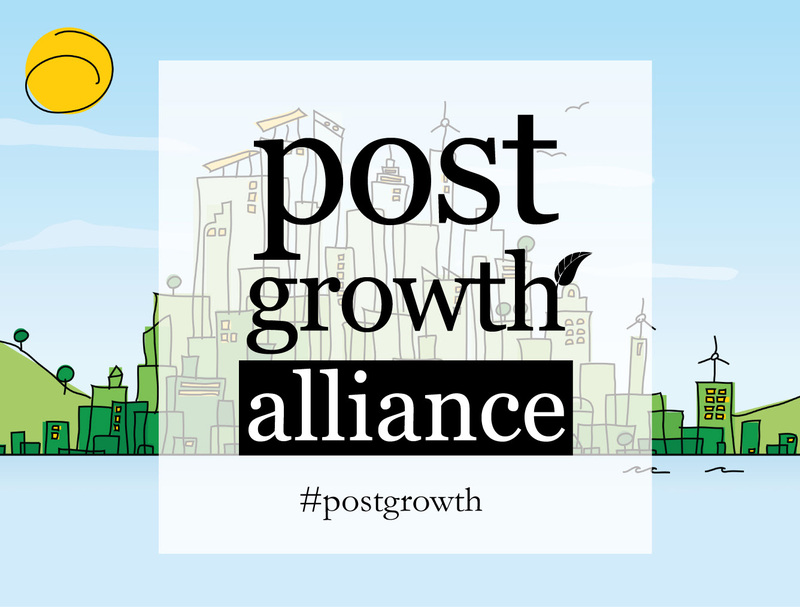 The P2P Foundation is glad to announce its participation in the Post Growth Alliance. The Alliance, created by our friends at the Post Growth Institute, has initiated dialogues among a growing number of collectives spanning 14 countries and with a commonly agreed-on set of values. The groups involved work tirelessly on behalf of ecological and social justice, post-growth strategies, stewardship of the Commons and, of course, P2P. The Alliance aims to mutualise our social media reach by cross-posting curated content on subjects that matter. Given our informed choice to use netarchical platforms to spread our message (and, incidentally, criticise netarchical platforms and their biases) the Alliance’s combined social media reach of over 2 million followers is not a bad thing. To be precise, as of July 7th there were 2, 269, 659 followers (Facebook: 2,021,404; Twitter: 248, 255). The combined figure is increasing daily by about 4,000. Over time, we would like to see the incorporation of more decentralised social media channels into that equation. To give an example of its current reach, Share the World’s Resources’ recent FB post on worldwide economic sharing, republished by the Alliance, has received over 20,000 views on the Post Growth Institute’s page alone. If you want to follow all the groups involved in the PGA on Facebook, you can add them quickly through this list. If you want to follow them on Twitter, click here. Amongst other things, the PGA organized a record-breaking Silent Skype Meeting with representatives from most of the collectives. We’ve benefited in other ways aside from the social media reach the Alliance offers us, including very constructive dialogues with the Sustainable Economies Law Center on the subject of Open Coops and with Share the World’s Resources on strategies for a Partner State. We really want to thank Donnie Maclurcan, Becky Hollender and the rest of the team for organising such a great initiative. Please read more about the Post Growth Alliance in the material below. Together let’s shape the more beautiful world our hearts know is possible! In a groundbreaking development, 50 organizations have come together to form the Post Growth Alliance. These groups will selectively cross-post the very best content that is helping to motivate systemic change and reshape our world(views). As of July 7th, the PGA’s combined social media reach is a staggering: 2, 269, 659! (Facebook: 2,021,404; Twitter: 248, 255). The combined figure is increasing daily by 3,856. A low-key alliance of like-minded groups, using a simple strategy to harness collective reach in order to enhance the individual impacts of each group and grow the broader Post Growth movement. 2. Sharing – via a ‘blind’ group email, we receive a limited amount of high-quality content from alliance group members, which we agree to consider reposting via our social media and other marketing channels. How does the updating process work? Groups then present dot point, pre-prepared organizational updates (organizations present in alphabetical order, at the chair’s prompting) (100 min.). How does the sharing process work? Each alliance member organization has a representative who agrees to be on the alliance email list. Each member organization may send a maximum of four items per year (links to articles, campaigns, videos or images – they don’t even have to be your own, or original, work) to the group, using a set template (currently under design, possibly a Google Form) for Facebook, Twitter and newsletter messages. Each alliance member is encouraged to repost (either as a copy/paste function or a retweet/share) all content from other members, but the decision to repost is always voluntary, with each group able to use discretion. The Post Growth Institute will moderate/curate the content. How is the alliance intellectually/philosophically like-minded? Globally, improvements in the efficiency of technologies, or even leaps to other substitutes, have not been able to offset overall increases in resource consumption and waste. In fact, these improvements in efficiency have, in many cases, driven more wasteful attitudes and increased overall consumption (see “Jevons Paradox”). Rather than relying on technology alone, we must challenge the obsession with infinite growth on a finite planet. ← An International Call to protect the Teatro Valle Foundation from Eviction! !